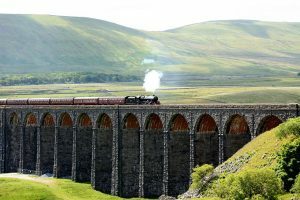 John Newton returned to his roots in northern England to jump aboard the Settle to Carlisle train, which runs across a stunning viaduct and takes in the unforgettable views of the Yorkshire Dales National Park and neighbouring Cumbria. It’s recognised as one of the world’s greatest railway trips – like the Glasgow to Mallaig route over the Glenfinnan Viaduct, the ‘Harry Potter Bridge’- further north. 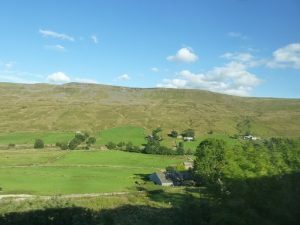 But the Settle-Carlisle line was doomed to be closed by British Rail in the 1980s until a former government minister – now a UK and international railway guru – stepped in to save the tracks from being torn up. As Britain’s transport minister at the time, Michael Portillo, who fronts the long-running TV series – ‘Great British Railway Journeys’- announced a government U-turn for the Settle-Carlisle railway line, after a long campaign by rail groups, local authorities – including the county councils of Cumbria, Lancashire and North Yorkshire – enthusiasts and residents to keep the line open. By far the highlight of the spectacular journey is the massive Ribblehead Viaduct, with its 24 arches. Its 402 metres (440 yards) long and 32 metres (105 feet) high. Every sixth arch is double the thickness of the others – so if one of these collapsed only five would follow. 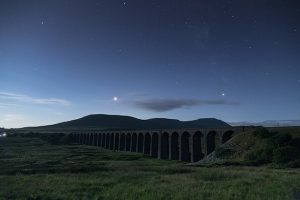 Further down the line, at Dent in Yorkshire, is the highest main line station in England – and the glorious landscapes continue along the Yorkshire Dales National Park into the Cumbrian countryside. 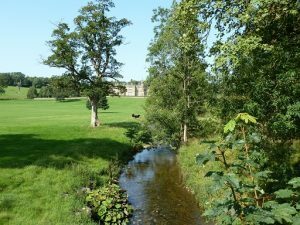 The train – which now operates several daily services with diesel engines, although there are steam charters now and then – clatters past rolling hills, manicured moorland fields, kilometres upon kilometres of Roman walls, babbling streams, pristine rivers and historic towns and villages. It was the last mainline railway in England built using pure physical strength and was opened to passenger trains in 1876 and has had its fair share of ups and downs since. The line became famous through concerted efforts to save it from closure in the 1980s. Since its reprieve in 1989, millions of pounds have been invested in the railway, its stations, and the visitor centre at Ribblehead Station and to preserve signal boxes, including the one at Settle. Situated in the foothills of the Pennines, Settle is a bustling market town and well worth at least a three-day stopover, allowing travellers to take in the sights – including Attermire Scar, with its numerous caves where bones of prehistoric animals have been found. And among the many other nearby attractions worth exploring are stunning waterfalls; the Settle Hydro, Weir and Salmon Ladder; and the dazzling limestone scenery of Ribblesdale, where the landscape is dominated by Yorkshire’s Three Peaks – Ingleborough, Pen-y-ghent and Whernside – which tower over the surrounding countryside and moors. They are a top drawcard for climbers, hikers and ramblers. Walkers. House, where there’s a granite walkway which links it to Carlisle Castle. At Garsdale, just north of Dent, there’s a statue of Ruswarp the dog. A very special dog. Ruswarp’s paw print was accepted as a valid signature objection to the closure of the line, as he was a fare paying passenger. 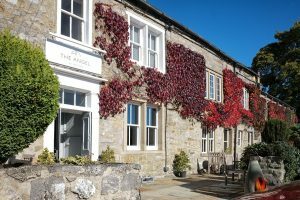 This nine-room rural gem has recently changed hands and a start has been made on an extensive facelift by the two couples who have bought the property. 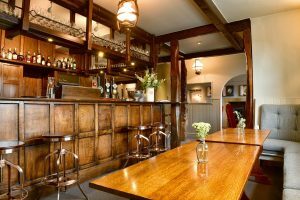 However, it will stay open over the festive season and New Year before the major refurbishment resumes and the property closes again for a short time. The creation of a second dining facility featuring ‘pub grub’ gives patrons another option to the finer dining experience. One of the new owners, Michael Wignall, has achieved a Michelin star at every restaurant he has worked at since 1993.